UMO goes where people are. Audience outreach work at UMO is a music education and audience education effort whose purpose is to reach a variety of population groups to make UMO activities more accessible. Live music is conducive to wellbeing and health. UMO engages in audience outreach activities with children and adolescents, with senior citizens and with special needs groups. UMO gives concerts at schools and daycare centres, visits the elderly in service housing and in institutions, and organises other pedagogical and training events. More information on current topics in audience outreach work is available on this website. 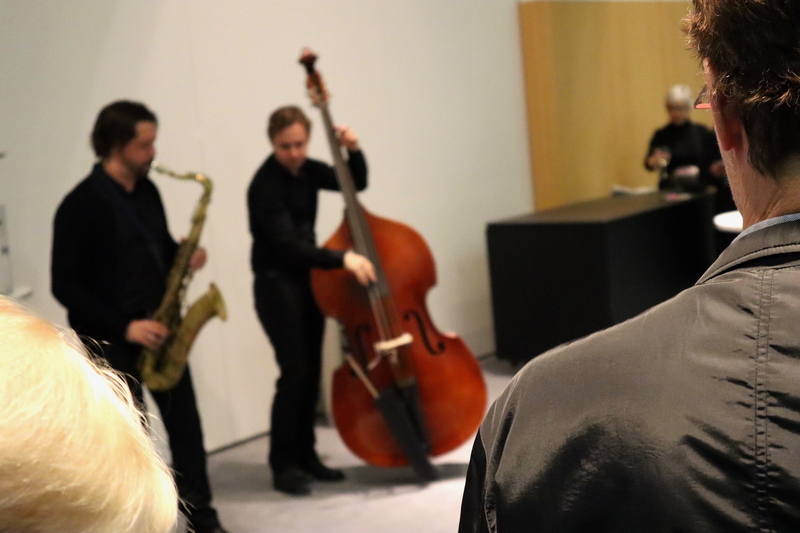 Learn about UMO Helsinki, jazz and big band music! 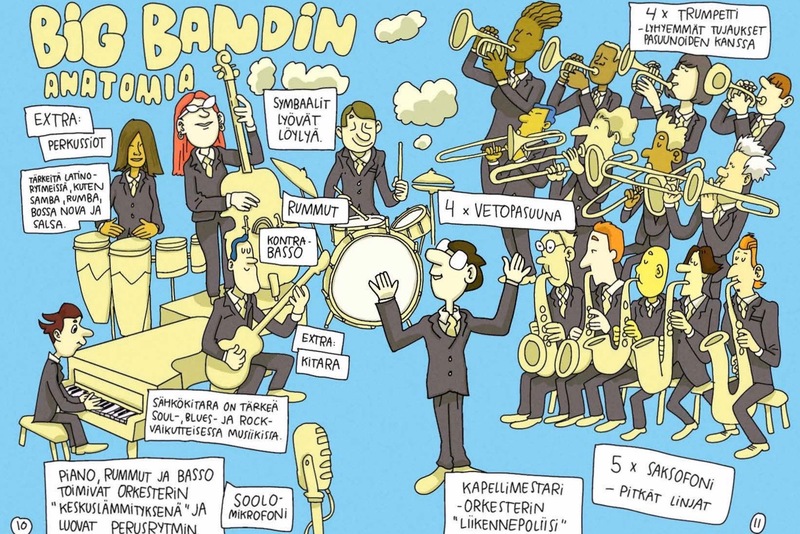 The UMO Helsinki Comic (only in Finnish) is a fun introduction to the world of UMO Helsinki Jazz Orchestra, jazz and big band music and an entertaining way to engage more with your live music experience. A printed version of the comic can be purchased at selected UMO Helsinki concerts. How are the rehearsals of a professional big band like? What kind of final touch-ups are made to the programme before the premiere? Come and hear for yourself at UMO Helsinki Jazz Orchestra´s rehearsal hall at Helsinki’s Cable Factory. 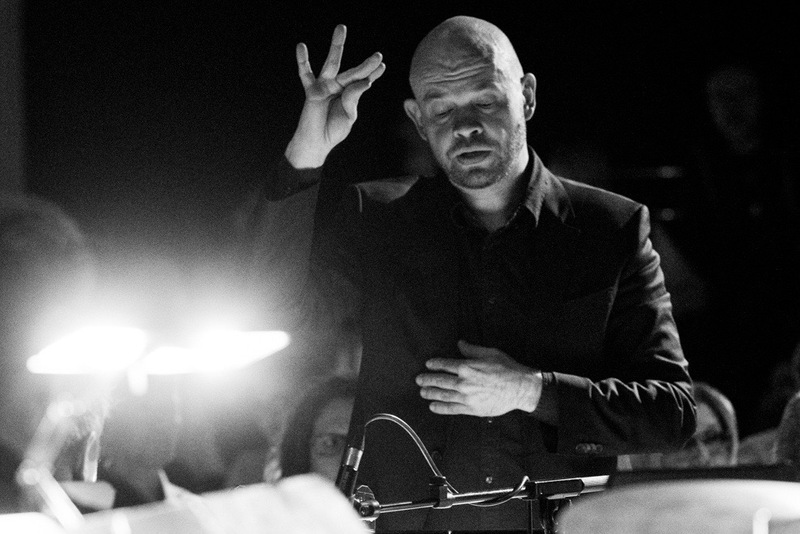 In UMO Helsinki´s open rehearsals you will witness how the programme gets crystallised and the orchestra’s sound unified. As the rehearsals are kept as authentic as possible, certain parts and passages may be honed a number of times. A conductor will also be present at the rehearsals, directing the orchestra toward the desired sound. Open rehearsals are organised approximately eight times a year and they are free and open for all. Follow UMO Helsinki´s Facebook events and official website concert calendar and join us! You can also inquire about special sessions for groups (of 40-70 persons), such as school classes. Join the merry mates of UMO Helsinki! 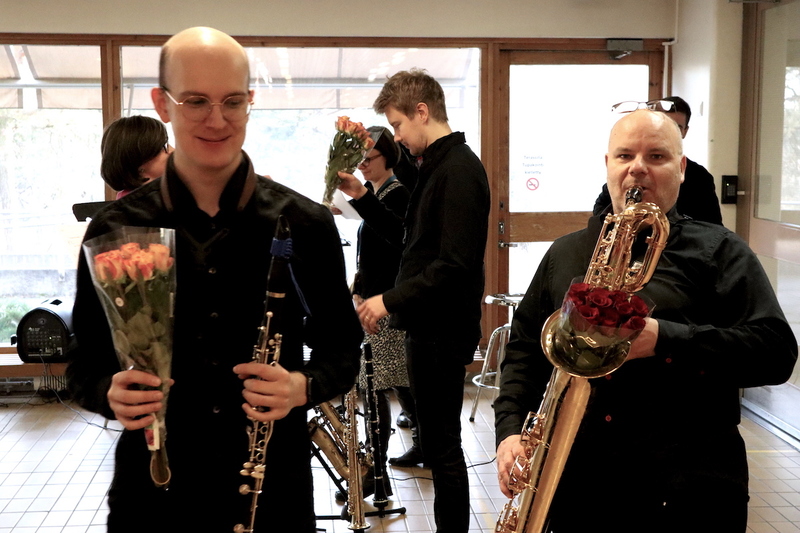 Friends of UMO Helsinki is a group of people, businesses and non-profit associations that wish to be in a bit more closer terms with UMO Helsinki Jazz Orchestra. Since its role will be modelled on the members’ wishes, as a Friend of UMO Helsinki you will get not only to brainstorm ideas but also realise them with the big band. 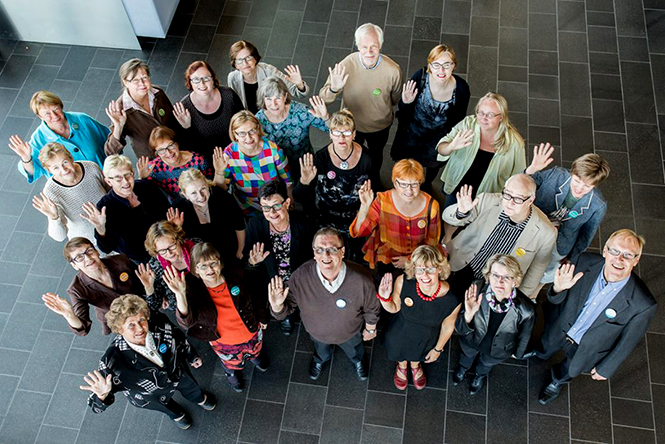 For more information, see the Friends of UMO Helsinki page here. UMO Helsinki welcomes art testers! Businesses are invited to include UMO Helsinki in their corporate social responsibility activities. Businesses are invited to include UMO Helsinki in their corporate social responsibility activities. 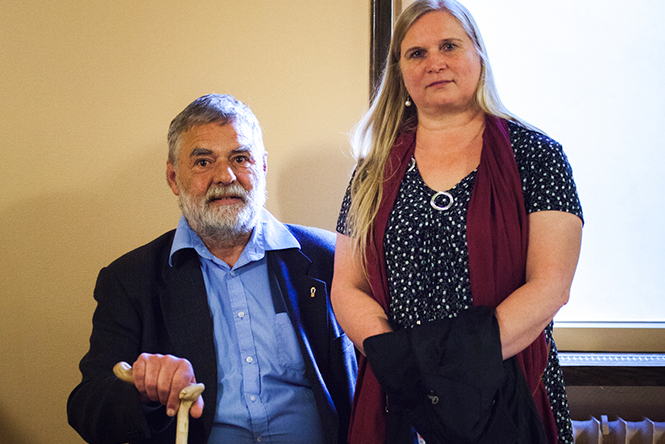 UMO Helsinki audience outreach activities involve children, adolescents, the elderly and special needs groups. A business may contribute to UMO Helsinki audience outreach work by becoming a regular sponsor or an event sponsor. UMO Helsinki is an innovative performing arts community with bold new initiatives and collaborations with sometimes unexpected partners. The Music Factory is a music workshop project produced by UMO Helsinki for eight-graders studying at arts-oriented secondary schools in the Helsinki metropolitan area. Musician Aija Puurtinen, percussionist and expert of Brazilian music Sami Kontola, and saxophonist-conductor and UMO Helsinki Jazz Orchestra´s artistic partner in audience outreach, Ville Vannemaa, are in charge of the pedagogical offerings, teaching the students in composition, lyric-writing and rhyhmics. The project will be organised in autumn 2018-2019 already for the third time in total. 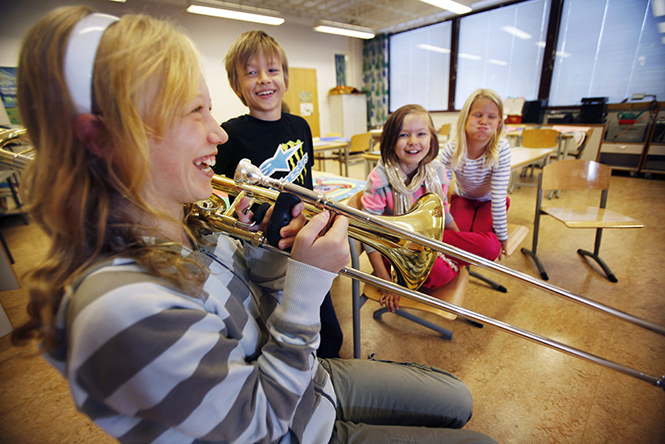 UMO Helsinki organises concerts and workshops for schoolchildren and students. 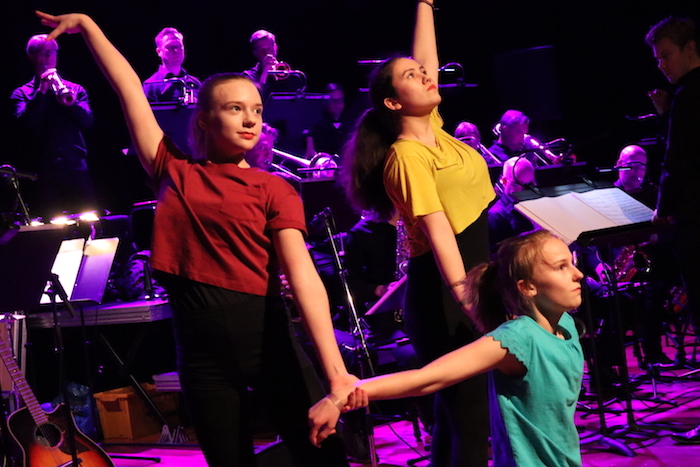 UMO Helsinki organises concerts and workshops for schoolchildren and students, from daycare up to upper secondary school. Focusing on music education aspects, the concerts are designed to introduce children and adolescents to the concept of a big band and the music that has been written for that ensemble for almost a century now. School visits also introduce young audience members to concert attendance practices and customs while supporting music teachers at schools in teaching the history of jazz, which is part of the curriculum. 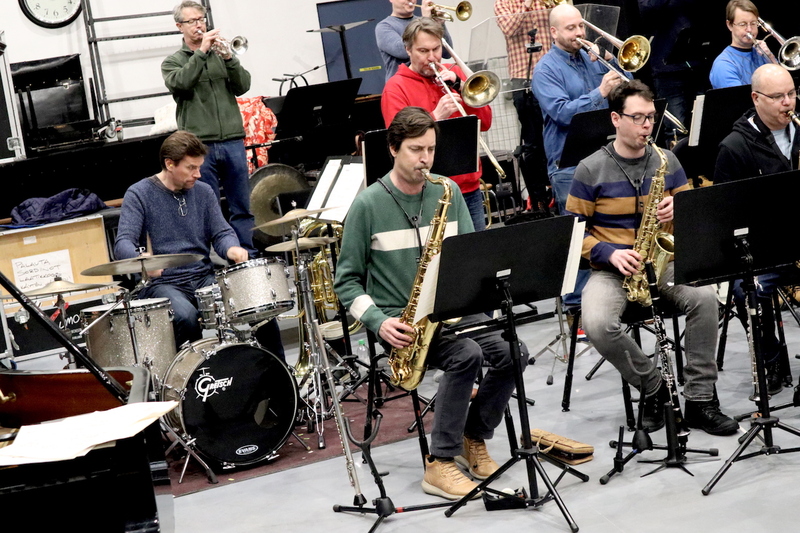 A typical school visit week begins in the classroom, with the band introducing the pupils to the history of UMO Helsinki Jazz Orchestra and how the orchestra operates. Also the sections and instruments of a big band are introduced as well as the improvisation. At the end of the school visit, UMO Helsinki Jazz Orchestra gives a concert at full strength for the entire school, performing traditional big band works that the pupils are unlikely to hear anywhere else. UMO Helsinki is available for school visits in the Greater Helsinki area by agreement, and elsewhere in the country too when on tour. Visits are customised to the needs of the hosts and are free of charge, although the hosts are welcome to make a voluntary donation towards the orchestra’s expenses. Deeper into the Show (Fin. ”Enemmän irti esityksestä”) will be organised usually 45 minutes before those UMO Helsinki Jazz Orchestra concerts that are taking place at the cultural centres of the City of Helsinki (Vuotalo, Kanneltalo, Malmitalo) and at club venues Koko Jazz Club and G Livelab. 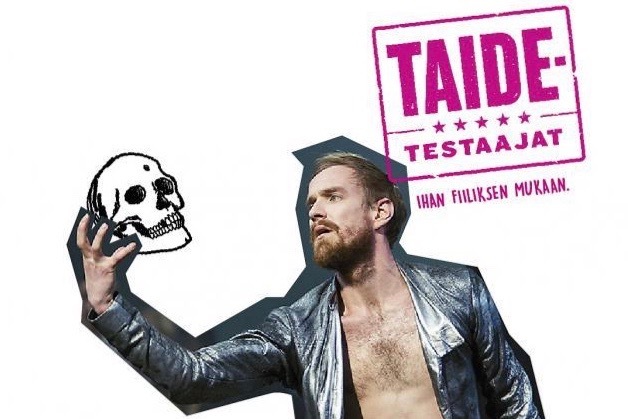 Notice that the event will be held in Finnish. The events see the conductor, soloist or one of the orchestra’s members discuss the theme and background of the concert and answer the audience’s questions. The aim of the events is to offer the listeners a more in-depth concert experience. Despite the fact that the afternoon concert programmes and schedules are designed specifically to suit senior citizens, all other ages are naturally as welcome to attend. One form of audience outreach for UMO Helsinki is the prevention of social exclusion. In collaboration with our partners we will offer concert tickets to special groups, such as people with chronic diseases or limited means. Our partners include the Finnish Association for Mental Health, the Central Association for Mental Health, the City of Helsinki Immigration Unit and the VAMOS Career Services and Alcohol Rehab Clinic of the Helsinki Deaconess Institute.